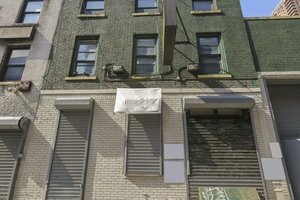 This bare shell retail space is located in Midtown, blocks away from Broadway and Times Square. 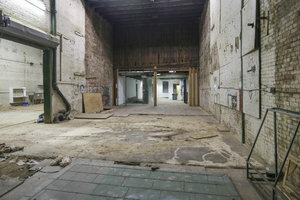 It is in a bustling area and is a perfect space for a Pop-Up Store, Art Opening or Photoshoot. The frontage of this space is urban and distinctive located in a green brick building with a glass door and small window looking inside. 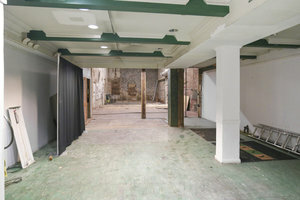 The interior is bare and raw with exposed brick, unfinished floors and open fluorescent lighting making it a perfect space for a transformative pop-up event. Facilities are basic and include internet, toilets and heating. Situated in a lively area near numerous popular tourist attractions, this space is in a prime location. It is a great opportunity to take a bare space, make it entirely your own and connect with new customers in a bustling neighborhood.